And I can see why– because I’m in LOVE with this horse. I have to share (*trivia fact! *) that I took my first EVER riding lessons on an American Saddlebred. 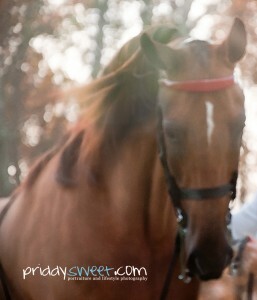 My mom’s horse was the only Arabian in a barn full of Saddlebreds! And as “Cad” (short for Cadillac) moved further into his retirement (from western pleasure), I was transferred to a (much) bigger mount to continue learning my basics/intro to sitting in an english saddle. Perhaps it was those first ever riding lessons where I sat tall in a saddle seat that seeded my love for big, strong, long maned beauties (those who know me closest know my obsession with Friesians)… I’m not sure, but for a second there, I thought I saw my dream horse through this lens. I can’t say enough about how gorgeous and majestic this animal is. I only wish is that you could meet him in person. Be. still. my. heart.